There is no such thing as a flat site (Fig 1). 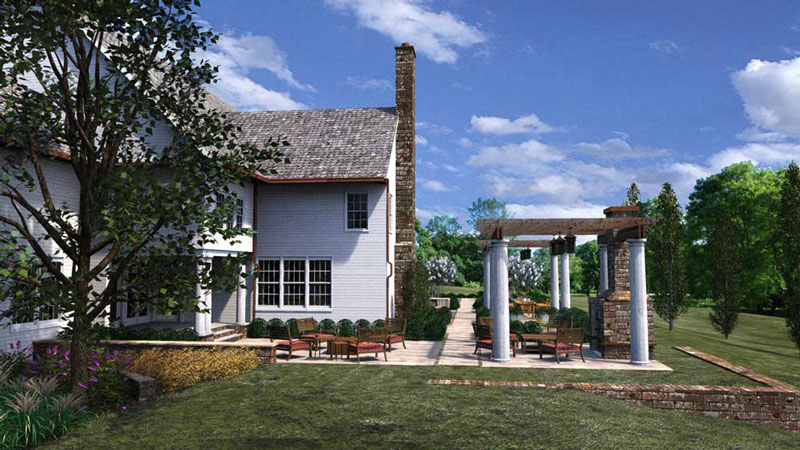 Terrain, slopes, and grading are an intrinsic part of site related projects, but many people struggle with representing terrain in a digital form. In the 7 years I’ve been teaching students and professionals to create models in SketchUp, the most common question I get is how to work from a digital site survey (for example from AutoCAD) with contours to generate a SketchUp model that integrates the site features, like buildings, walls, roads and walks into the terrain. It’s actually not that hard. You’ll need to be working in SketchUp Pro, as the free version of SketchUp is unable to import DWG files from AutoCAD. You’ll also need to install several free ruby scripts—plugins that customize your SketchUp application and increase its capabilities. 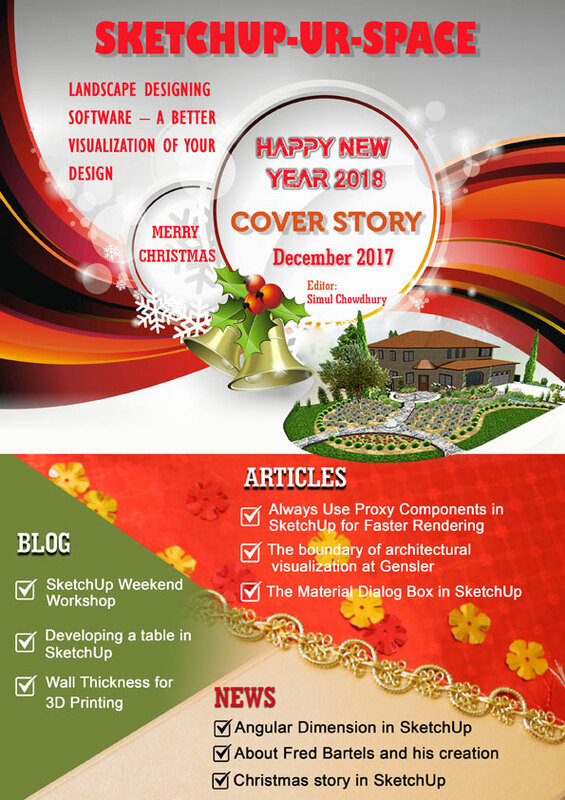 With a basic knowledge of SketchUp and the right tools, you should be able to convert a 2D contour map from AutoCAD into a digital elevation model in SketchUp in less than a day. Many different types of terrain models can be created from small residential scales to larger master plans (Fig 2 & Fig 3). 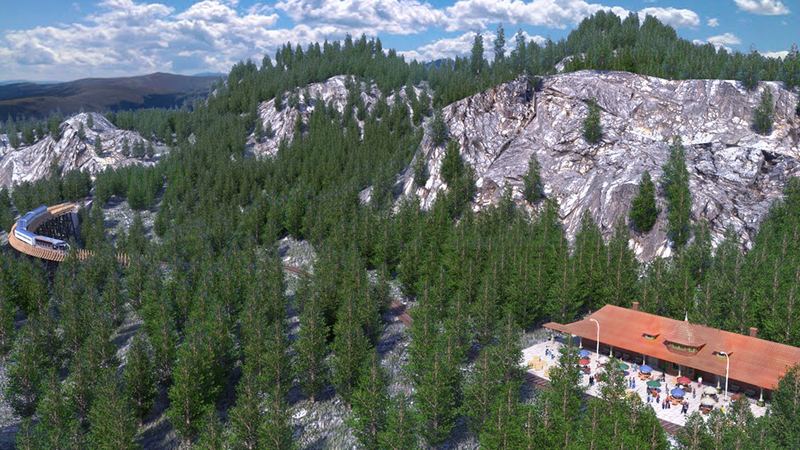 The process for creating SketchUp terrain models from AutoCAD plans outlined below assumes you have some basic knowledge of grading, AutoCAD (or similar Cad programs0, and SketchUp. There are nuances throughout the process that are not reviewed in this article. However, if you have those basic skills, you should be able to navigate this methodology. You will also need to download and install four ruby script plug-ins before you start. All of them are available for free online. Simplify Contours is an essential tool, available through SketchUp’s website. The Ruby Script removes about 50% or more of the points (also called vertices ) that compose a typical surveyed contour line. The Ruby selects vertices that are at shallow angles relative to each other and removes them. This limits the loss of the terrains profile. The greater the number of points or vertices, the greater the number of faces created when using From Contour on imported contour data. 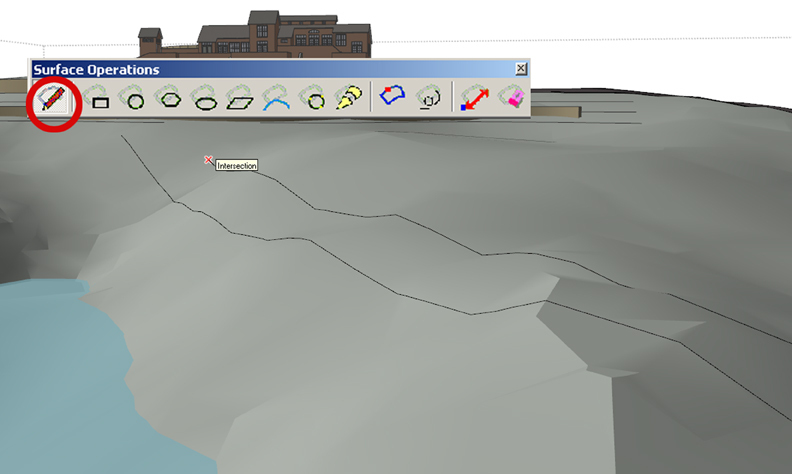 This will cause the terrain process to take considerably longer because SketchUp needs to process more information. Decreasing vertices makes it easier for SketchUp to complete functions like From Contour and Drape. Reducing the number of points that define a contour line reduces the accuracy of that line; however in most cases the difference is not noticeable. Tools on Surface, also called Surface Operations, allows you to draw lines and shapes directly on terrain (Fig 5). Its primary function is to supplement SketchUp’s Drape tool and fix incorrectly draped line work. An Offset function allows contours and outlines to be offset on the surfaces. The tool is available from SketchUcation (www.SketchUcation.com). Google “Sketchucation Tools on Surface”. Free registration is required.